BIOGAME Ltd. has sponsored leading Bulgarian athletes in different kinds of sports. Vladimir Kourdov – Bodybuilding. Balkan and national champion. Ivet Lalova – Athletics. 2004 Olympic Games in Athens 4th in 100 m and 5th in 200 m. 2005 European Indoor champion in 200 m. 2003 European junior champion in 100 m and 200 m. National champion in 100 m and 200 m. National record holder in 100 m.
Zhivko Videnov – Athletics. 2002 European championships finalist. Balkan and national champion. National record holder in 60 m hurdles and 110 m hurdles. Atanas Zlatkov – Triathlon. The best bulgarian triathlon athlete. Milen Hristov – Powerlifting. European championships medallist. National champion and record holder. Irena Slavova – Fitness. Balkan and national champion. Ivailo Ivanov – Bodybuilding. Balkan and national champion. Svetomir Andreev – bodybuilding. Balkan and national junior cmampion. 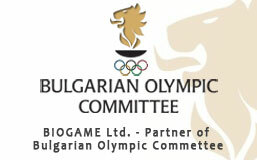 BIOGAME Ltd. is a Partner of the Bulgarian Olympic Committee. BIOGAME Ltd. is a sponsor of many World, European and Balkan championships and cups that take place in Bulgaria, as well as of the traditional marathon race for Award of Sofia, Athletic meeting “New stars”, tennis tournament “Leader”. 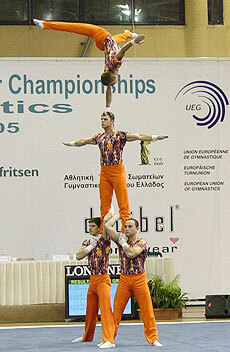 BIOGAME Ltd. is a sponsor of the Bulgarian Federation of Sport Acrobatics.